To address poor health and lack of high quality health care in rural Georgia communities, Georgia Partnership for TeleHealth is proposing a training and outreach program for residents and healthcare providers to improve health and healthcare delivery in the state’s 91 designated “counties of persistent poverty.” Leveraging the strengths of state government agencies, the private sector, and educational and nonprofit organizations, the project proposes targeted outreach to economically vulnerable populations including African American and Hispanic communities, low-income residents, senior citizens, and at-risk youth to address poor health and lack of high quality health care. The project plans to connect community-serving institutions, like hospitals, schools, public health departments, and physicians’ offices by expanding the applicant’s current open access telehealth network to 67 additional community anchor sites. The partners plan to raise awareness of the benefits of broadband for healthcare through several outreach campaigns and training for rural physicians, non-physician practitioners, and school nurses. Georgia Partnership for TeleHealth (GPT) is using telemedicine to address poor health and the lack of high-quality healthcare in 91 of the state’s counties designated as having persistent poverty. Its BTOP-funded project, TeleConnect Georgia for Better Health, connected 64 additional healthcare sites statewide to its existing open access telehealth network. It also provided free access to videoconferencing and telemedicine equipment for more than 200 medical facilities, including hospitals, clinics, nursing homes, and public health departments. GPT initiated a variety of outreach and awareness-building activities to demonstrate how state residents will benefit from this new network. For example, the program offered free online education to rural Georgia physician office employees. The courses covered areas such as health information technology, computer skills, and physician practice education. Additionally, TeleConnect Georgia created Peachy, a mascot to help raise awareness about this new broadband network among young students and their families. 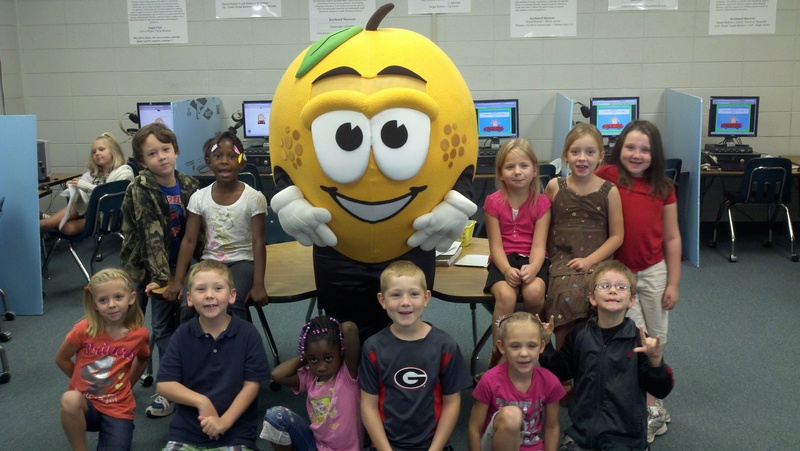 During school visits, Peachy taught kids how to log on to the teleconnectga.com website to play games that promote healthy choices and habits. Approximately 4,900 people participated in BTOP-funded training classes. The state residents who benefitted the most from access to this telehealth network were those who would not otherwise have had access to, or would have had to drive hours to see, a specialist. TeleConnect Georgia’s new network helped patients gain better access to specialty care services, reducing the number of acute care cases and keeping patients out of emergency rooms and hospitals.